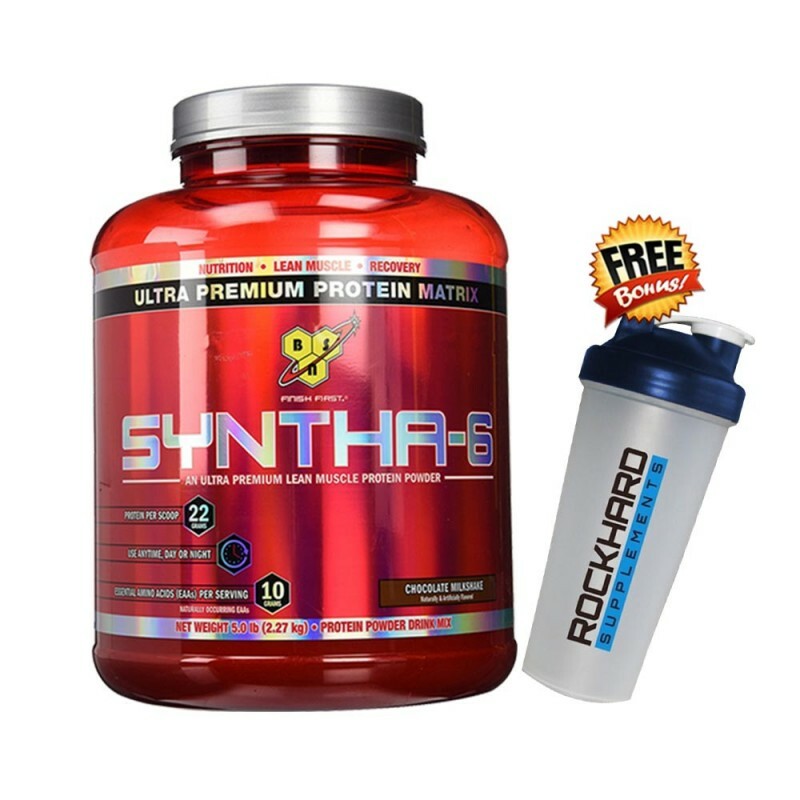 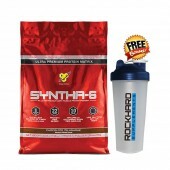 BSN Syntha-6 Extended Release Protein Blend is formulated with fast, medium and slow digesting proteins to sustain amino acid levels over a long interval, while increasing protein synthesis, and repairing damaged muscle tissue. 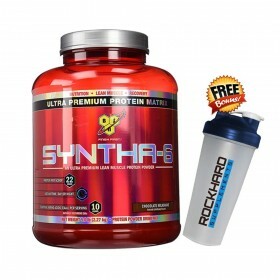 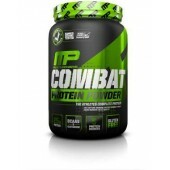 Its protein matrix consists of ultra-filtered whey protein concentrate, Micellar alpha and beta case-ins, micro-filtered WPI, egg albumen, calcium caseinate, and milk protein concentrate. 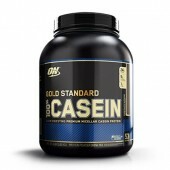 It is low in carbs and lactose, making it a good choice for individuals seeking sustained protein delivery to promote optimal rates of protein synthesis without a lot of extra fat and carbohydrate calories. 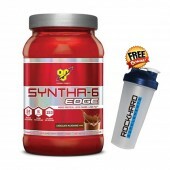 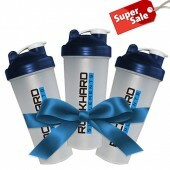 Geared toward individuals seeking weight management, nutrition, and muscle support. 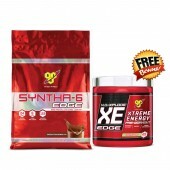 It contains no aspartame or stimulants. 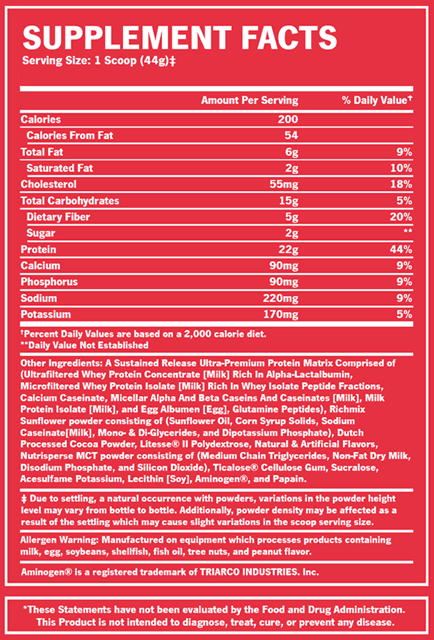 Sustained release ultra-premium protein matrix comprised of (ultra-filtereed whey protein concentrate (milk) rich in lactalbumin, microfiltered whey protein isolate (milk) rich in whey isolate peptide fractions, calcium caseinate, micellar alpha and beta caseinates (milk), milk protein isolate (milk), and egg albumen (egg), gluta-mine peptides, richmix sunflower powder, Litesse II Polydextrose, natural and artificial flavors, nutrisperse MCT powder, cellulose gum, natural vegetable color, sucralose (splenda), acesulfame potassium, lecithin soy, aminogen, and papain.